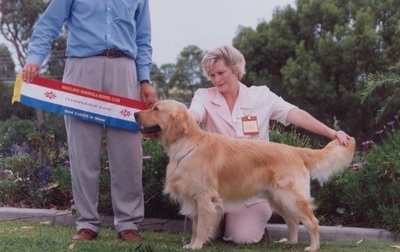 “Quest” was our third generation of All Breeds Best in Show Winners . 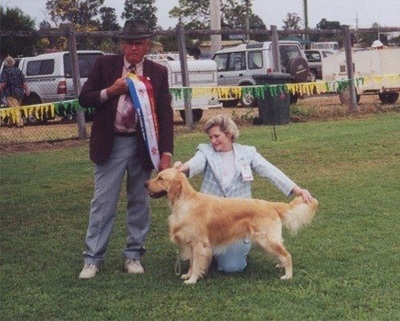 He consistently won under local, interstate and international judges. 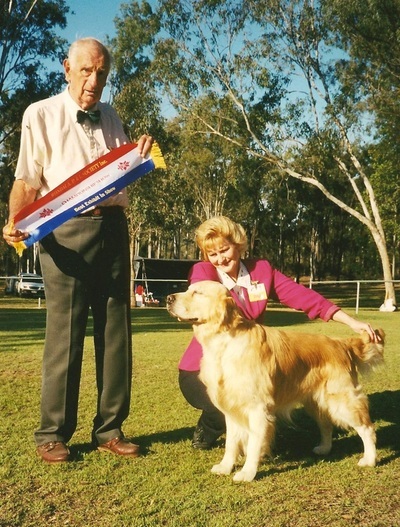 Quest was awarded “BEST EXHIBIT IN SHOW” at the Golden Retriever Club of Queensland Show on 23/2/02 and 22/2/03. He is a joy to own and exhibit. 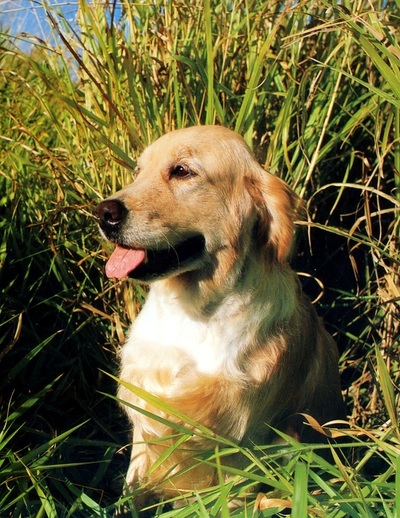 His sound level movement made him an eyecatching exhibit depicting the true qualities desired in the breed standard. 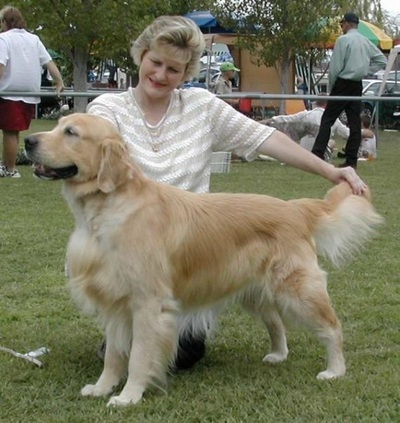 Quest was the sire of Champion progeny. 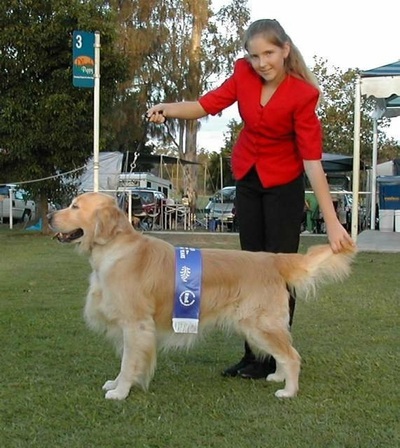 After being Queenslands most awarded Golden in 2002, Quest continued his success in the show ring in 2003 and gained his GRAND CHAMPION title. 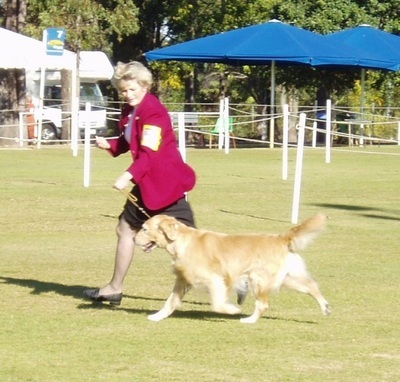 Quest was awarded “Best Exhibit in Show” at the Golden Retreiver Club of Qld Show 19 February 2005. 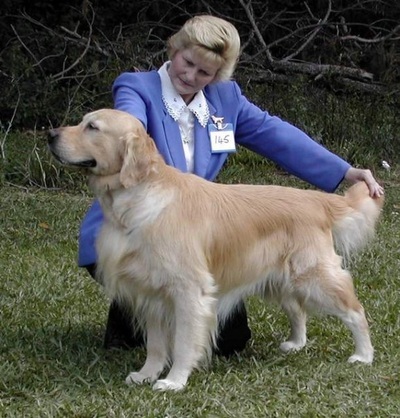 This makes the third time Quest has been awarded Best in Show at this show and he is the only Golden Retriever in the history of the Club to have won Best in Show three times at this Show!!!! 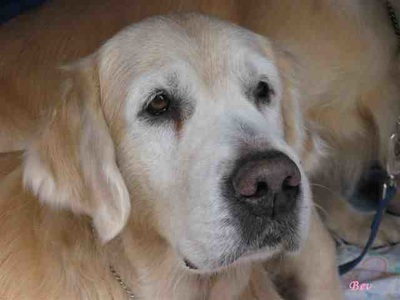 Not a bad effort for a dog of 8 years of age!!!! 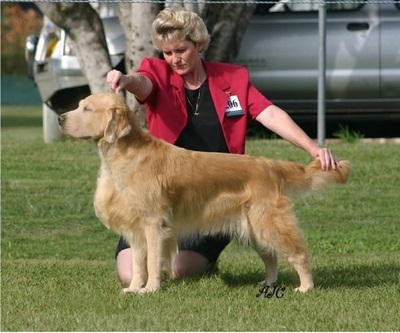 Quest was #2 All Breeds Veteran in Australia in 2008 (showdogs.com.au pointscore). 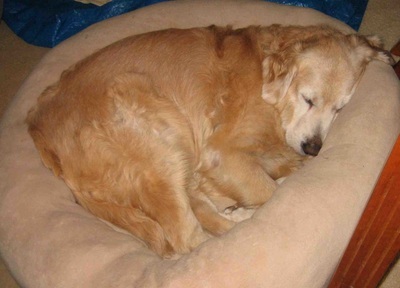 This was a fabulous result for a 12 year old dog!!! !